As a community based nonprofit organization, we believe it is essential to give back and invest in the communities we serve. We recognize the importance of being a dedicated member of the community and have benefitted greatly from strong relationships with other organizations in our area and the community at large. Our community begins with our patients. We serve more than 500 patients and their families every year and we are dedicated to ensuring they feel embraced and supported in managing chronic kidney disease. 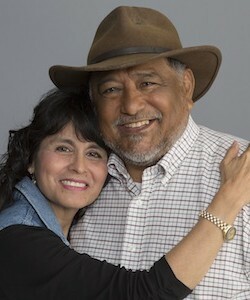 Improving the quality of life for people affected by kidney disease is our measure of success. 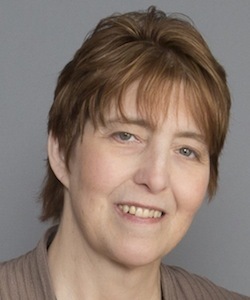 Puget Sound Kidney Centers believes it is essential to be a collaborative partner in delivering the very best care and health education to people in the Puget Sound region. We partner with colleagues and leaders throughout the nephrology and health care fields to advance the quality of care and achieve better health outcomes for our patients. We thank these organizations, and many additional individuals in the community, who make it possible for us to provide quality care and compassion for our patients. 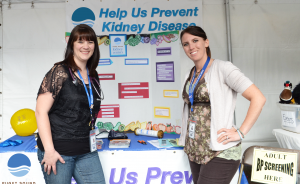 Jenni, RN and Jennica, a dietitian at Puget Sound Kidney Centers, shared information about chronic kidney disease with event-goers at the Anacortes Waterfront Festival. 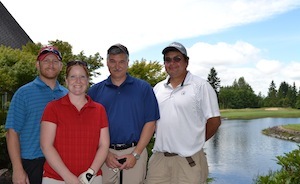 Amanda, Dan, Ken and Nathan attend the annual Valley General memorial golf tournament. 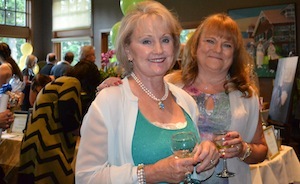 Cheryl and Kathy, members of the Kidney Auxiliary of Puget Sound, enjoyed the silent auction at our Gift of Life dinner and auction. The Puget Sound Kidney Centers Foundation was formed in September 2011 as a nonprofit, 501(c)(3) organization dedicated to advancing charitable support for Puget Sound Kidney Centers. 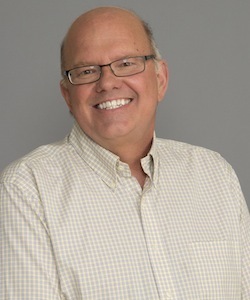 Since its inception, the Foundation, supported by a Board of Directors, has created and implemented a philanthropic strategy in support of Puget Sound Kidney Centers’ patients, put on annual fundraising events and worked to raise awareness of the work of Puget Sound Kidney Centers in the community. Philanthropic support from community members makes possible additional services such as programs that provide nutritional supplements and equipment to support patient care, ensuring all Puget Sound Kidney Centers’ patients receive high quality, compassionate care.